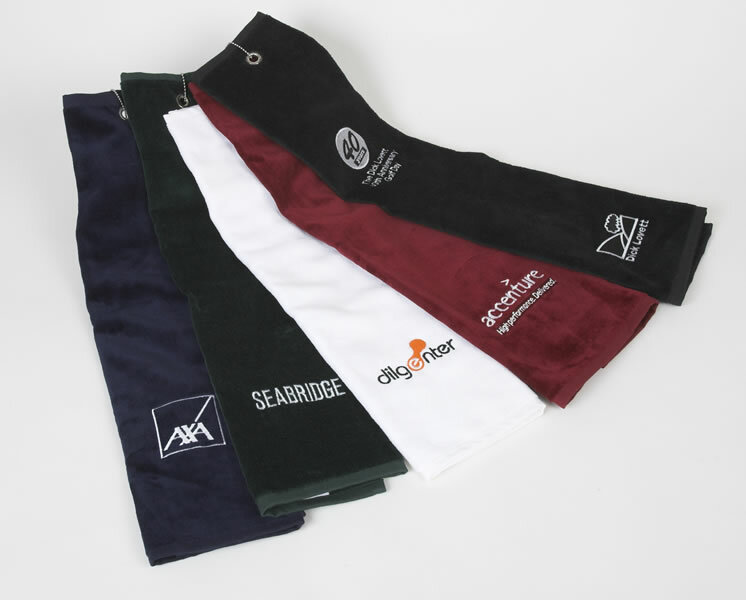 Our velour golf towels are recognised as the best in the business! 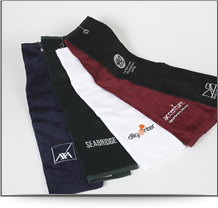 Tri-folded and supplied with eyelet and chain for easy attachment to your golf bag. Black, Dark Blue, White, Green, Burgundy. 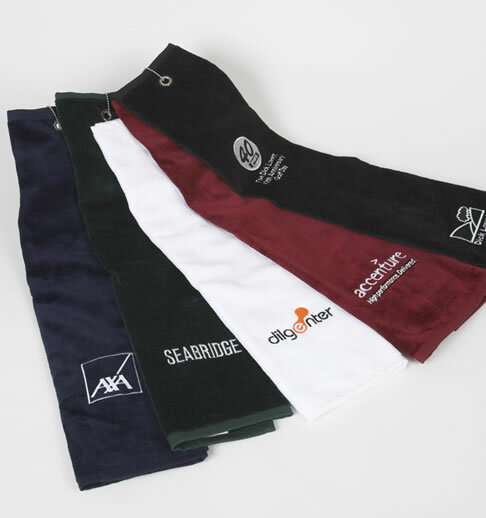 Enhance your golf towels with our embroidery facility. 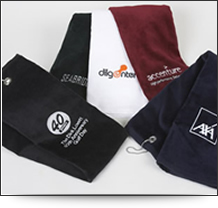 Our embroiderers will expertly optimise your logo to reproduce a high quality, long-lasting advertisement for your business.